I think we are finally nearing the end! 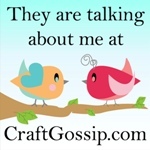 I have added onto the medallion the latest border of flying geese with pretty star corner blocks. I found making that last border quite meditative - pretty fabrics, a perfect pattern to follow and it fit precisely on the existing medallion (thank goodness!). Paper piecing is so rewarding. Here's the question, folks. There will be one more border added of a singular fabric, like the navy, green or red you see already. What fabric would you go with? I was thinking orange, but orange is a strong color in the center on point block. Yellow? Suggestions absolutely welcome, folks! Wow, it’s looking gorgeous! Depending on the width od the border of singular fabric, I would go with the navy, which will frame all rounds so nicely! Oh Cindy this is looking so very good, pull out some fabrics and show us on IG, that always works for me! no clue on the colour but loving what you have done so far! Looks amazing! The flying geese are wonderful. I think it would depend on the width. Navy would frame it nicely, though if the last border is wide, it might be too over-powering. oh, this is looking so lovely! I I am thinking navy might be a good choice for your last border. Oh it's wonderful Cindy! Would a navy border (not too wide) work with bright binding to lift it again? Not sure but maybe you can audition some on IG like Mary said. Though you'll get a ton of opinions and that might not necessarily help to narrow it down ;-). Enjoy your weekend. Say hello to the Brit Bees for me. It's fabulous! I think I'd go for a warm yellow final border, but it depends on which colour you want to accentuate in the top...auditioning is the way to go, I think! I thought you have finished this by now!! tsk tsk. For the border, how about large multi coloured print? Light blue maybe? Big Stitch Swap Round 2 - Sign Ups Are Open!